Academic misconduct figures prominently in the press this week: Peter Nijkamp, a well-known Dutch economist at VU University Amsterdam, supervised a dissertation in which self-plagiarism occurred, according to a ruling of an integrity committee of the National Association of Universities in the Netherlands. The complaint led two national newspapers to dig into the work of Nijkamp. NRC published an article by research journalist Frank van Kolfschooten, who took a small sample of his publications and found 6 cases of plagiarism, and 8 cases of self-plagiarism. 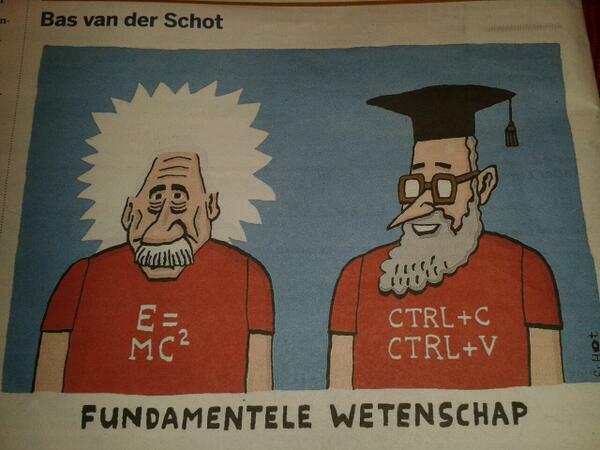 Today De Volkskrant reports self-plagiarism in 60% of 115 articles co-authored by Nijkamp. VU University rector Frank van der Duyn Schouten said in a preliminary statement that he does not believe Nijkamp plagiarized on purpose, that the criteria for self-plagiarism have been changing in the past decades, and that they are currently not clear. The university issued a full investigation of Nijkamp’s publications. Nijkamp’s profile on Google Scholar is polluted. It counts 28,860 citations, but includes papers written by others, like Zoltan Acs and Nobel-prize winner Daniel Kahneman. A Web of Knowledge author search yielded 3,638 citations of his 426 (co-authored) publications, 3,310 excluding self-citations. That’s 7.8 citations per article. His H-index is 29. Typically Nijkamp appears as a co-author on publications. He is the single author of only one of his top 10 most cited articles, ranking 10th, with 58 citations. The Nijkamp case looks different from another prominent case of self-citation in economics, by Bruno Frey. Frey submitted nearly identical research papers to different journals. Nijkamp seems to have allowed his many co-authors to copy and paste sentences and sometimes entire paragraphs from other articles he co-authored – which can be classified as self-plagiarism. January 15, 2014 update: Nijkamp responded in a letter posted here that there may have been some flaws and accidents, but that these are to be expected in what he calls “the beautiful industry of academic publishing”.